Why Do Low-Fat Cheeses Always Have Lady Mascots? Hold it right there, fella! You, with the reduced fat Galbani string cheese in your hand! Don’t you know that stuff is for the ladies? Otherwise, why would all the less fatty cheese options feature a female character with flowing locks, while the regular fat packages have a male anthropomorphized cheese stick? What is it about cheese that makes it so susceptible to gender-specific packaging? We don’t know the answer, but it keeps happening. First, there was Monterey Jack and Monterey Jill from Lucerne. And now Galbani — the brand formerly known as Sorrento — is pulling the same thing, as a Jezebel reader reported to that site. The implication being, perhaps, only women need to worry about getting fat from eating cheese. 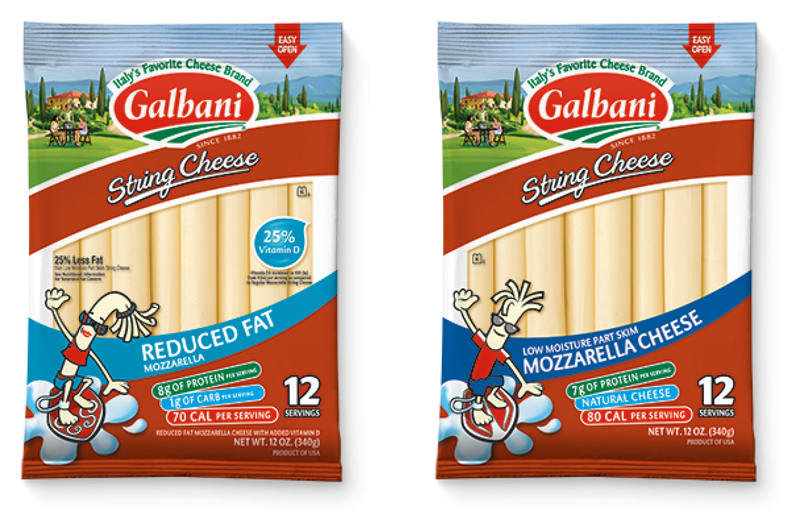 As you can see on the Galbani site, as well as the photo above, all the regular fat string cheese products feature an male anthropomorphic surfing cheese guy, while all the reduced fat options have a surfing cheese gal. It’s not just string cheese: Colby Jack Snack Cheese? Fella. Reduced Fat Colby Jack Snack Cheese? Gal. What gives? Is this sexism? Why must cheese have a gender at all, can’t it just be cheese that I love to eat? For the first question, we reached out to Galbani, and will update this post if we hear back.